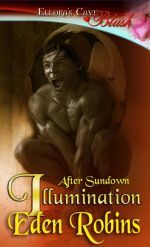 This is the third book in the After Sundown series. Rebecca desperately needs to know who she is—and about the life she doesn’t remember. All she’s been told is that she was attacked, a fact that leaves her with more questions than answers. The mysterious attendant who watches over her at night is just another question, though he is a decidedly enticing one. Jason and his kind usually stay far away from witches, but with her thousand-watt smile and razor-sharp mind, his charge is both beautiful and intriguing. His duty is to keep Rebecca safe until she regains her memory, but she’s a powerful temptation that he finds impossible to resist. And when things get dicey, their budding relationship may be the only thing that saves them both. Free-spirited healer Selena Alvarez has a thing for bad boys. 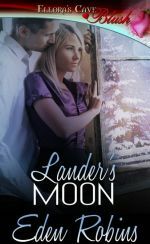 Yet she’d never imagined herself running through a snow-blanketed forest to escape a violent and abusive boyfriend—or being saved by Lander Paletsos, a reclusive, hunky, skapeshifting immortal with an attitude. Snowbound in Lander’s castle in the woods, they’ll soon discover whether a beautiful healer’s love is enough to mend the heart of a deadly beast. Originally published December 2007 in BENEATH A CHRISTMAS MOON anthology with Ariana Dupre & Karen McCullough as an eBook by Cerridwen Press. Copyright 2015 by Eden Robins.